These Park Style Buddy Benches are offered in a variety of mounting methods that include portable, in-ground and surface — available in both 6' and 8' lengths. Optional matching grout covers provide a more finished look for surface and in-ground mounted models. 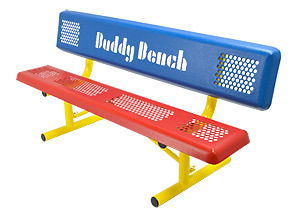 Completely customize your Buddy Bench with the broad variety of color options available and/or fully personalize it with a custom precision laser cut message or logo on the seat back. Click Here. 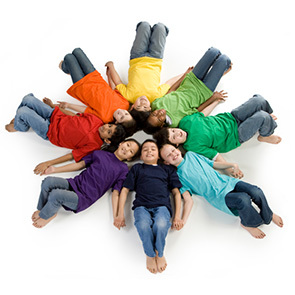 Foster friendships on the playground and spread the message of inclusion and kindness. Inspired by the simplest of ideas — the 'Buddy Bench' a special bench designated for those seeking camaraderie during recess and playtime.